Recent Radiography graduate, Sanna, gives her top ten tips for starting university life. 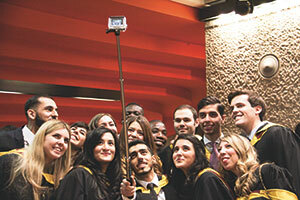 First of all, a big welcome to City, University of London! My name is Sanna and I’ve been privileged to have spent the last 3 years studying Radiography (Diagnostic Imaging) at City. My time at City has been the best learning experience of my life so far and I am happy to share my Top Tips about starting university with you! Get involved with clubs and societies! It’s very easy to become lost in revision and clinical placements, but using your time wisely and becoming involved in a sport or society could do you more good than you think! It gives you an opportunity to meet students from other courses, which can be so refreshing, and it can bring back that sense of belonging to the university as a large amount of your programme is spent at your clinical training sites. City’s Library provides you with access to thousands of books, e-books, journals and articles, so before you splash out on expensive anatomy and physics books, check out the library’s collection, more often than not, the book you need will be in there and you can loan it for free! Want early access to the lecture resources and assignments? 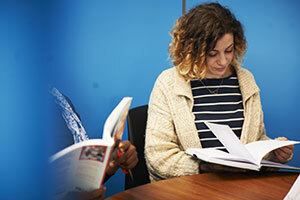 Need a look at your timetable or the informative guidelines to your module assessments? Well then this online learning resource will become your new best friend. Also, always check your City email, you can add it as an additional account on your phone too. Make the most of your fantastic lecturers and tutors! 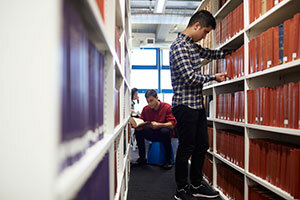 Approach your module leaders or personal link lecturers for any queries you may have. I’m talking about that burning question you didn’t want to ask aloud during the lecture! 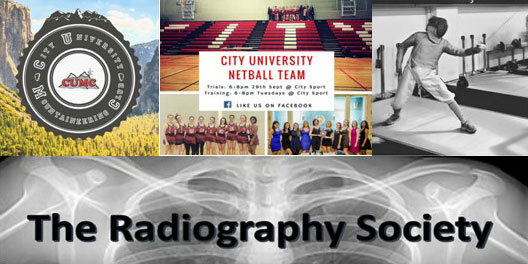 The radiography lecturers at City are highly knowledgeable and extremely approachable. They are always more than happy to help. Join the only society in the UK which represents us radiographers. Membership for the first year for student radiographers is free! Revise in ways which work for you. Whether that means booking supervised sessions in the bone library to learn dry bone anatomy or learning independently in the silent study areas in the library. Regardless of which method you prefer, revising earlier and in smaller healthier chunks will help you retain what you have learnt for much longer and will definitely produce exam results worth looking forward to. Keep up to date on upcoming lectures and your clinical placement timetables. Keeping a printed copy of the radiography academic and clinical rota can help you become organised and allow you to prepare for them effectively. Radiographers can provide invaluable tips and knowledge during your placement which cannot be found in any book. Keeping a small notebook will allow you to note down all these wonderful helpful hints and techniques to improve your skill set and allow you to become a competent radiographer. Take the opportunity to get to know your fellow student cohort and the lecturers in the most valuable way and make your voices heard. City is a fantastic institution to study radiography. The 3 years will pass by very soon so do make the most of your time here. Good luck to all of you!